Kinnoull Parish Church is holding a book club and badminton sessions on Thursdays, a Baking for Beginners class and table tennis on Tuesdays and carpet bowls, indoor putting and indoor “kurling” on Mondays. A photography club is being held on Wednesdays and people can try their hand at model making on Fridays - the same day as a Messy Play event for parents and children. Table tennis marvels - Norma Connor, Ann McIntyre, Sheila Bell and Edith Lamond. 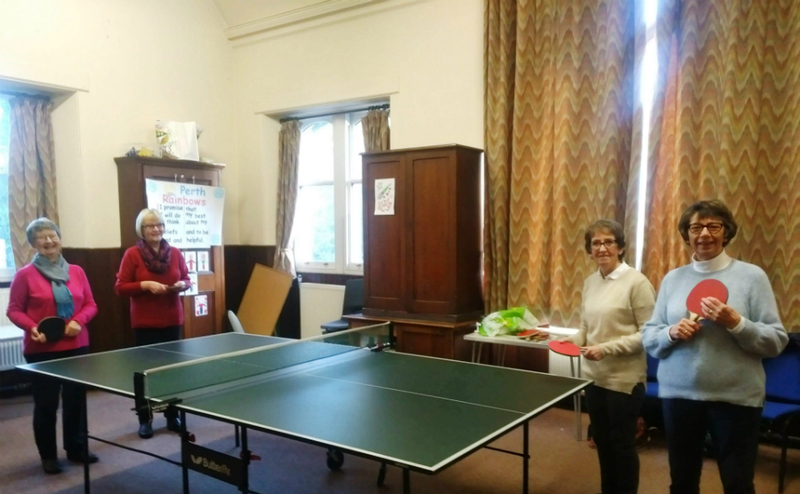 The Indoor Sports and Recreational Activities Initiative started in the church halls last week and 35 adults – many of whom are over 65 and living alone - and five children took part. Some of those playing badminton were in their 70s. 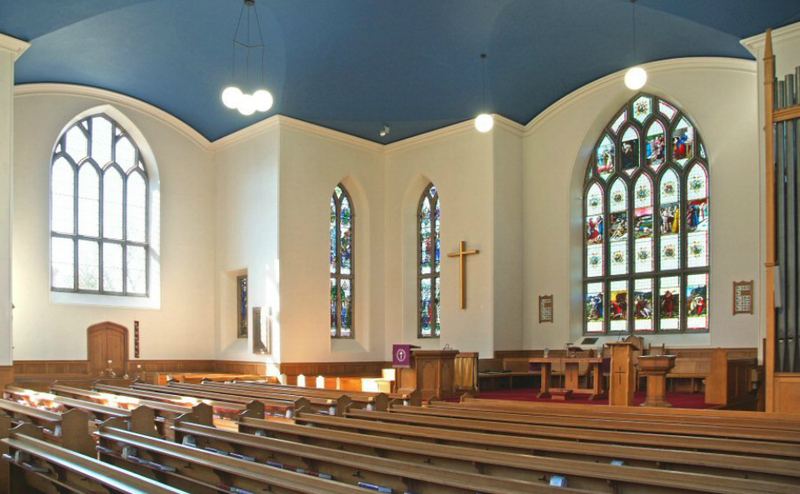 Rev Graham Crawford, minister of Kinnoull Parish Church, said the congregation decided to launch the activities programme after examining the profile of the population within the parish. “Members wanted to try to imagine what some of the needs might be and a figure that leapt out was around 20% of people in the parish are aged over 65 and living alone. “Having already had multiple conversations with my GP wife Jane about the problem of chronic loneliness in our society, this rang all sorts of alarm bells for us. “Mainly, I wonder how many of these people are lonely and desperate to find some sort of outlet for social interaction?”. Mr Crawford, whose wife works at the City Practice in Perth and is also the matchday GP at Forfar Athletic Football club, said three church members were further inspired to act after attending an “Equip for Sports” conference at Bankfoot Church in September. “This really caught the imagination of one of my elders, Ian Brown, who attended a session on opening up facilities for sports and other leisure facilities,” he added. “We canvassed the congregation and discovered that people with various interests were in favour of holding the activities that we have in the programme. “Hospitality and welcome are hallmarks of the Christian faith and the church is at the heart of our community, so we are delighted to reach out to people in this way. For more information on the events being held, visit Kinnoull Parish Church website.